This folded trainer not only exercises waist and arm but also helps lose fat on your tummy, alleviate lower back problems. The trainer has six different positions for different exercises. There is a friction knob to change the resistance according to your own physical condition. The curve design helps support the natural curvature of your lower back. The high density and padded foam backrest offers extreme comfort. The adjustable headrest & pedals & seat post allows you to have your body building by a comfortable post. 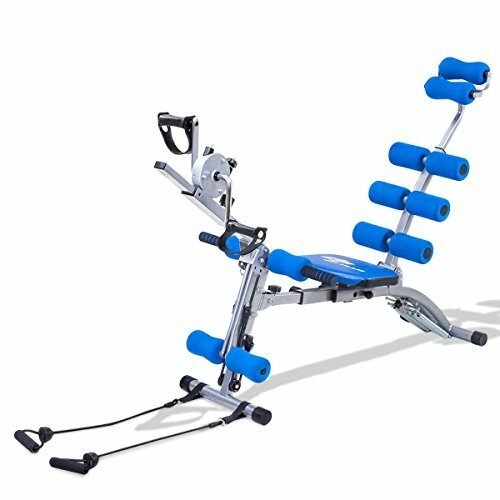 This gym equipment let you exercise your muscles in a comprehensive way and have a healthy body. It will be an excellent addition to your home.